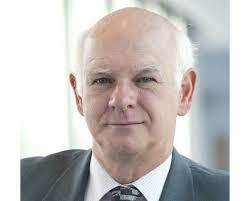 Sir Howard Davies’ is uniquely positioned to address some of the most critical questions about Brexit, the future of regulation in Europe, and the future of the City of London. During the event, members will discuss the short and longer-term impact on the City of London as a financial centre and the best ‘deal’ that the financial services industry can expect post-Brexit. Davies will also provide insight into what the UK government can do to mitigate this impact and what mechanisms might be put in place to ensure close collaboration between UK and EU27 supervisors in future. It’s hard to think of someone with a wider range of perspectives on Brexit and how to address it than Howard: his early career included stints at McKinsey, HM Treasury, and the Foreign Office (where he was the private secretary to the British Ambassador in Paris); he worked at the heart of banking and finance as head of the Audit Commission, deputy governor of the Bank of England, and the first chairman of the FSA; and more recently has been director of the London School of Economics, a visiting professor at Science Po in Paris, a board director at Morgan Stanley, chairman of the Airports Commission, and a non-exec at Prudential. In his spare time, he has literally written the book on financial regulation.